Our mission is to establish operations that deliver education in developing countries, but don't require ongoing fundraising to create change. Our goal is to become operationally self-sufficient, run by girls who have been educated and trained through Create Change volunteer opportunities, scholarships, internships and paid positions. Equipped with education and experience, they will be empowered to manage operations and direct fundraising initiatives to support development and management of further educational programming. It’s a truly sustainable model. As we train and empower girls and youth to become leaders, we create a consistent stream of dedicated staff and volunteers to lead the organization. Our goal is to become operationally self-sufficient, empowering students to eventually manage and run Create Change’s operations. In time, we plan to hand our Northern Ghana operation over to the girls that we have educated and trained to run it, so they can lead this modelinto the future, enabling Create Change to recreate its model elsewhere. We offer girls access to skills training and sponsor them to obtain both high school and university educations. We provide girls with mentorship, leadership and business training, so they have the confidence to lead. We train and hire girls to lead our programs and operations, showing the world what they are capable of. The youth we empower are key to achieving a sustainable model. Read the journeys of some of our inspiring leaders in Canada and Ghana who have benefitted from the work that we do. Sent 14 girls in Ghana to high school with the skills she learned. Became an effective coach, helping 5 local students to send 9 girls to school. Playing a lead role on Create Change’s marketing committee. Graduated from Yendi SHS focusing her studies on Home Economics. Taught grade 1 - 4 in communities improving student literacy by 37%. Pursuing a university degree with the goal of teaching primary students. Our goal is to be 100% self-sufficient by 2020 – through social enterprise and sustainable fundraising programs. In addition to serving as training schools for high school graduates interested in learning concrete skills and acquiring extensive knowledge on how to run a business, our training schools act as social enterprises where any profit made is channeled back into girls’ education. We establish a variety of training schools that run as small businesses, sustaining local communities and extending Create Change’s impact over the long term. We start enterprises to provide girls with skills & business training, which create a consistent stream of revenue. Our social enterprises act as training schools, empowering girls with skills to become financially independent. 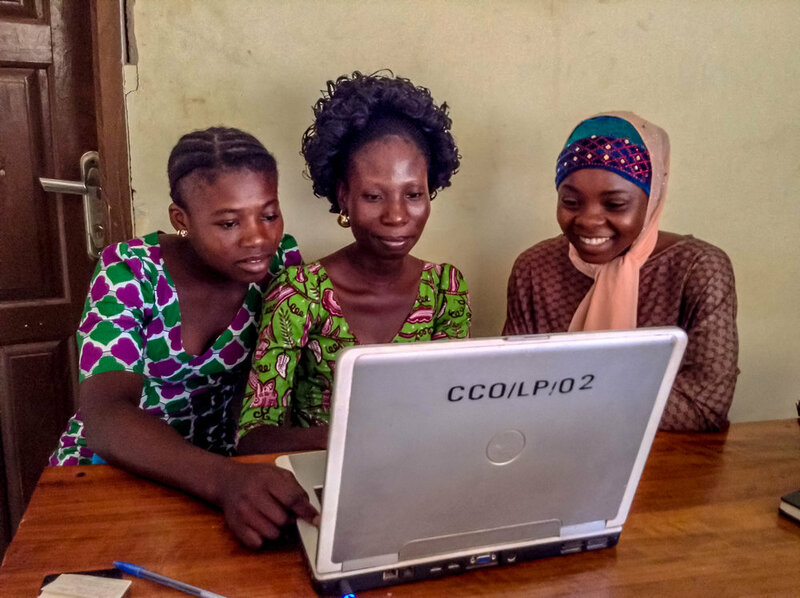 As enterprises grow and become profitable, revenue is reinvested into girls' empowerment programs. Your financial support impacts more than just the youth who participate in our programs – it also impacts all the people whose lives are improved through their efforts. Our social enterprise model is designed to generate profits that are reinvested into the community – more educational programs, more girls empowered to be change-makers, more families helped out of poverty. Show your support for this sustainable model of charity and improve the lives by donating today.